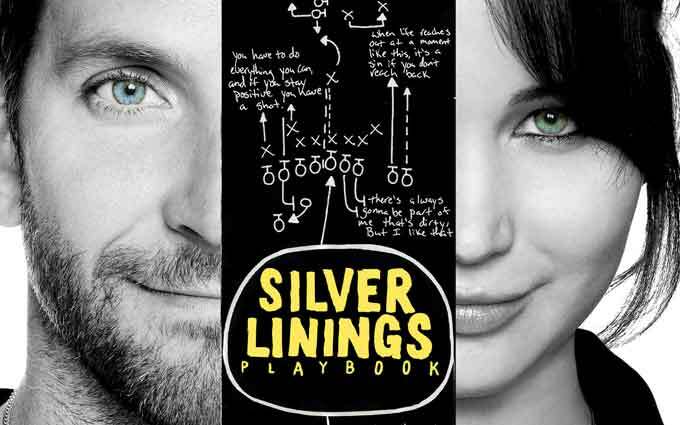 I went into the film Silver Linings Playbook somewhat skeptical. A friend of mine who is in the mental health field and has direct family experience with Bipolar Disorder felt the film treaded lightly over Pat Solatano’s (Bradley Cooper) own Bipolar illness. I also went into the film with my own life experience with Bipolar Disorder. I suffered for a good ten years—at least—from the illness. I was officially diagnosed in 1992. In 1998 the drug Lamictal came along and that evened out my mood swings within a month, if not sooner. Before Lamictal, I was actually using movies to calm my manic moods down. Whenever I got manic, I would pop a movie in the VHS player and tell myself to calm down. It didn’t work. But after I went on Lamictal, I no longer experienced unmanageable highs and debilitating lows. As I continued to improve in psychotherapy sessions and my outlook on life became better, I no longer even needed Lamictal and my psychiatrist for meds took me off the drug in 2012. I am very fortunate because some people don’t make it this far. They are either still suffering from the disorder or worse—not around! I was also lucky enough to be able to turn my life story into the documentary, OC87: The Obsessive Compulsive, Major Depression, Bipolar, Asperger’s Movie. I even did some acting (which I love to do) in a scene in the documentary. Finally, I also went in to see Silver Linings Playbook as a huge fan of the cinema. Obviously, I am a human first and not just a mental health consumer, let alone a therapist, so I really enjoyed Silver Linings Playbook. I enjoyed it primarily because of the honesty of its acting. I wish I, myself, could have been acting in this movie alongside these wonderful players and be capable of turning in the performance that these actors did. Bradley Cooper, Jennifer Lawrence, Robert De Niro, Jacki Weaver, and Chris Tucker were all “there.” And what I mean by “there” is that they were all fully present giving up their raw emotions for the camera and audience to see. So many films have actors who seem to be playing just for the camera, but not here. A great deal of credit has to go to the director, David O. Russell. Russell, whose own son has Bipolar Disorder, clearly had an affinity for his cast. During a Q and A after the film opened, Cooper said that Russell created an environment of safety for the actors, which clearly showed in the finished piece. The actors just “let go.” There weren’t any inhibitions in their performances and this is what made the film work. Director David O. Russell with Bradley Cooper and Jennifer Lawrence. During this production there were many times when they did “takes” as long as twenty minutes. A take is the time when the camera turns on to when the director yells, “Cut!” Often in these long “takes” the camera would follow the actors’ every move. The scene would be blocked according to the emotional needs of the moment and not according to some predetermined camera angles. If an actor felt like moving to the other side of the room, the camera would follow him. This is evident in the pivotal scene near the end when Jennifer Lawrence’s character Tiffany must explain to Pat Solitano, Sr. (Robert De Niro) that she has indeed been a good influence on his son (Cooper). During this interplay in which much of the main cast is present in the Solitano living room, the camera weaves and spins without much interruption (editing) in the shot. This just intensifies the spontaneity of the scene and if every actor wasn’t “present” the scene would have been chaos and unintelligible. 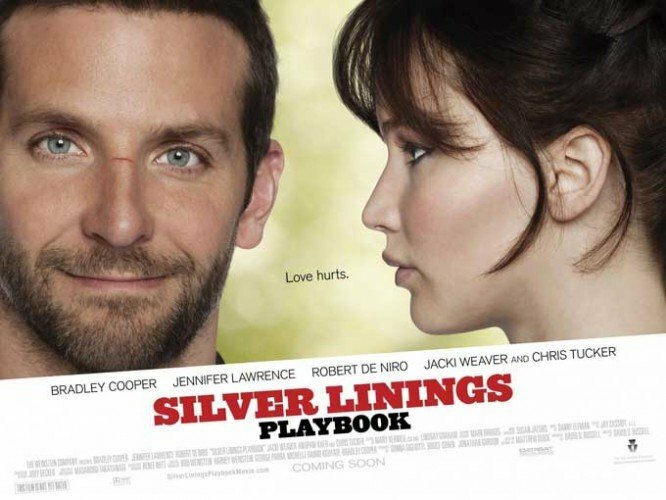 Obviously, I liked Silver Linings Playbook from a filmmaker’s perspective, but how did I relate to it as a consumer? Well, I’ll have to agree with my friend that it did not show mental illness in all its nasty manifestations. 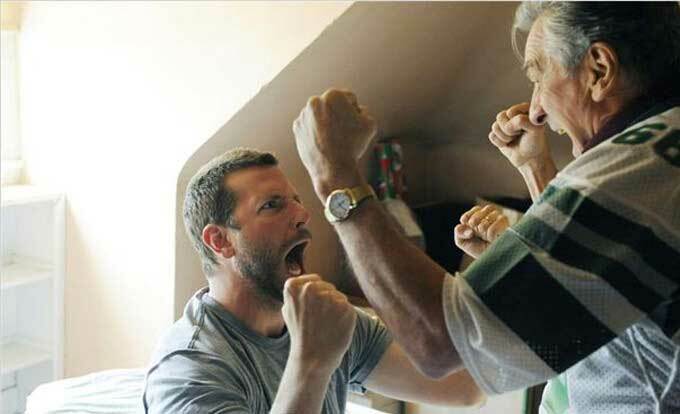 Bradley Cooper’s character, Pat, had many manic moments in the film where he was full of energy. The final dance competition sequence showed that and this was a perfect outlet for his character, but I didn’t see the darker moments—at least the ones that I experienced: the suicidal thoughts, the extreme withdrawal from life and interests, and the anger towards society. Lawrence and Cooper in the final dance competition. Each person who has Bipolar Disorder brings their own personality and experience to the table, but I found there was very little shading or grey area for Cooper’s character. And I was a little disappointed to hear David O. Russell say during the Q and A that they had edited together a much darker version of the film but decided to excise those scenes from the finished project. This decision to sugar coat the material doesn’t bode well for breaking down stigma of mental illness in this society. Although, much to the film’s credit, many people are apparently more comfortable talking about mental illness than they were before the film came out. Sill it shows that many of the powers that be in Hollywood are not yet ready to engage in a serious dialogue on the horrors of mental illness in America. There were even some scenes in my own film OC87 that were deemed a bit disturbing by test audiences. In particular, there is a scene where a therapist holds a knife to my wrist to make me nervous since I have a propensity for violent thoughts. The whole idea of the experiment was to make me be able to sit with the thoughts and discomfort, a traditional problem for those OCD patients who deal with disturbing ideas and images. Dr. Grayson and Bud in the film OC87. There was another scene in OC87 with me and a pretty woman on a beach in California. I tell the woman that I am having violent urges towards her. One member of my family told me that he wished the scene had been edited out. Bud and a friend on the beach in OC87. It’s precisely these uncomfortable moments that society needs to see and digest. 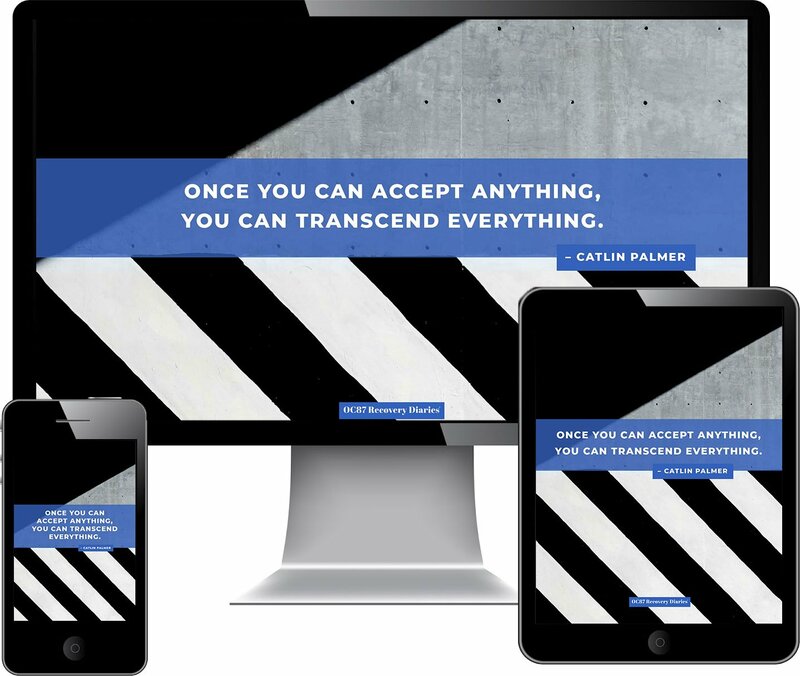 Society as a whole has a form of Obsessive Compulsive Disorder when it comes to dealing with troublesome thoughts and images, but it is in the illumination of these images that we begin to be comfortable and not afraid of them. They are demons no longer. In the end, though, I have to tip my hat to David O. Russell for furthering the dialogue of mental illness in America. I really have to thank him for it. Even though I would like to see those darker moments, his film clearly had people talking and thinking about a subject that is often pushed into the shadows. 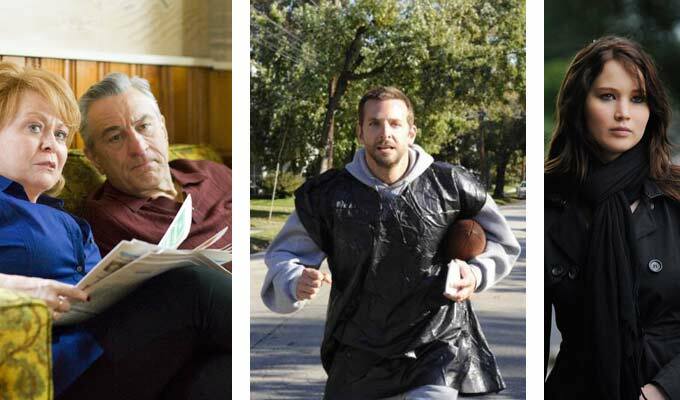 I hope Silver Linings Playbook, OC87, and other fine films will continue to shine the spotlight on what is considered—but should not be—a dark part of society. Michael Solomon is married, assumes responsibilities, and helps others in their own recovery journeys. He has a lot of empathy for people, too.